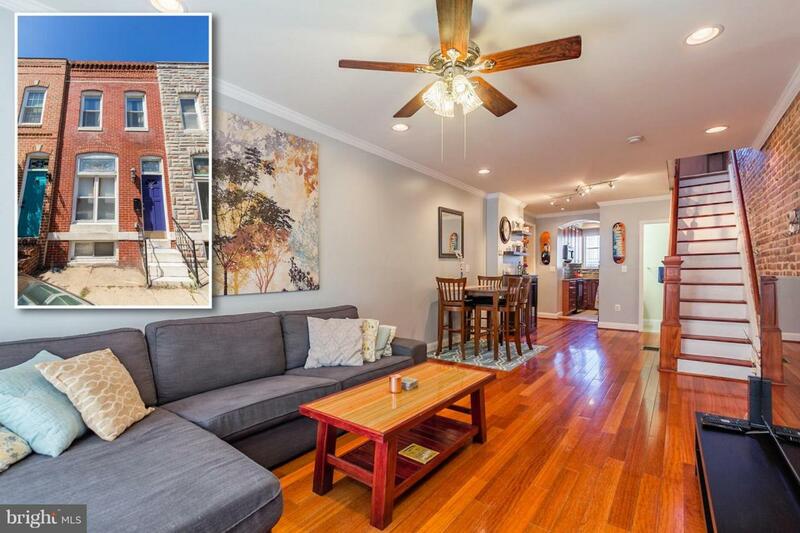 PICTURE PERFECT PATTERSON PARK ROWHOME W/ 3 FINISHED LEVELS AND PARKING PAD! Spacious LR & dining area w/ hw floors, crown molding, & exp brick, updated kit w/ granite counters, tile backsplash, & ample cabinet space, main lvl half bath, upper lvl w/ large bedroom, den or small bed & full bath w/ dbl vessel sinks & whirlpool tub, fin basement w/ 3rd bedroom, full bath, & fenced patio! New HVAC w/ 10yr warranty!